"Am I walking toward something I should be running away from?" Only about two and a half hours sleep last night, so I didn't write today. I did manage a trip to Target with Spooky, for a skillet and a bathroom clock and cat food and other stuff. 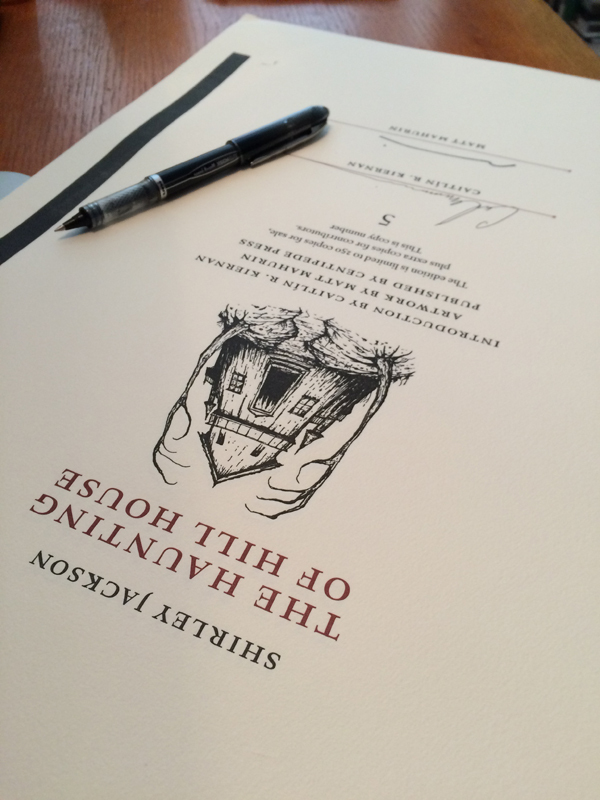 And I signed most of the signature sheets for the forthcoming Centipede Press edition of The Haunting of Hill House. And I answered most of the email that needed answering. And Julie sent us donuts from Georgia. Very nice looking signature page!